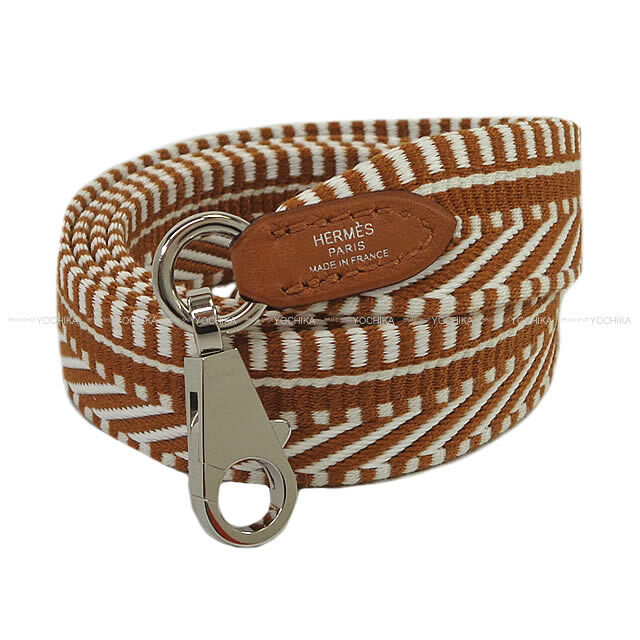 A strap comes up at last from Hermes in 2017 A/W! It is the very much up-and-coming item which is placed in the catalogue a lot. This becomes "Bandouliere Sangles Caval" weaving the design that cloth knit carefully is beautiful. Bags such as your other Kelly and Bolide, Ebb phosphorus and Fendi or Prada become able to take it in, too. It is tailored all for the bag of the type that comes to be got with a hook. It is sure that it is easy to match the type of the on the small side width with various bags and is useful! The strap which is very convenient when there is one is a check required!